For the second year in a row, MDS was recognized as Green Streets Initiative's Walk/Ride Day Corporate Challenge winner. Among small workplaces, MDS won first place for overall participation and healthy and green switches. MDS is proud of our active commuting culture and enthusiastically supports sustainable transportation options in our communities. The Walk/Ride Day Corporate Challenge engaged staff in a seven-month program that encourages adoption of car-light and active commuting modes on the last Friday of every month. In 2018, 30 Greater Boston area workplaces of varying sizes and sectors took part in the friendly competition between April and October. More than half of MDS staff adopted a healthier or greener mode on one or more of the seven Challenge days. Among single-occupancy vehicle drivers, 67% chose another mode on at least one of the seven days of the Challenge. Staff engaging in active commuting (cycling, walking and running) grew by 54% and Transit use increased by 14%. Green Streets measures changes in commuting behavior by comparing participants’ normal and Challenge day modes. 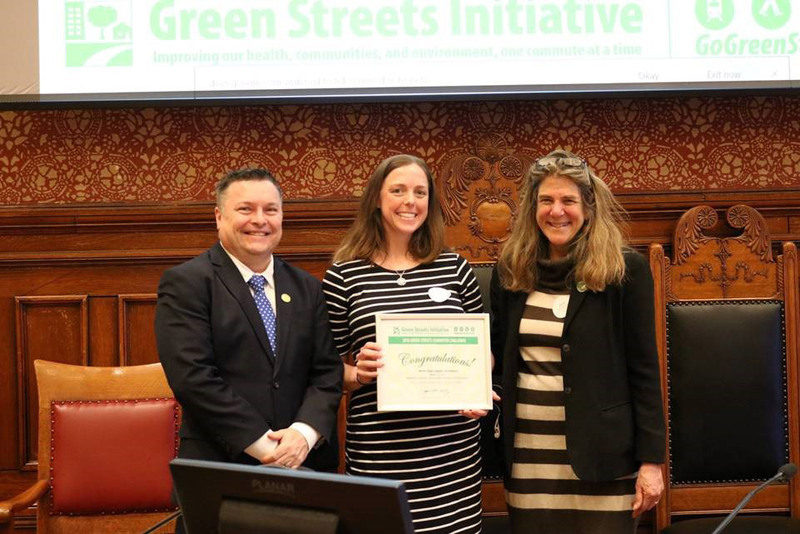 Green Streets Initiative is a Cambridge-based nonprofit dedicated to growing car-light transportation in the Greater Boston area for the benefit of individuals’ health and to improve the region’s mobility and air quality. Learn more about Green Streets Initiative and the Walk/Ride Day Corporate Challenge.